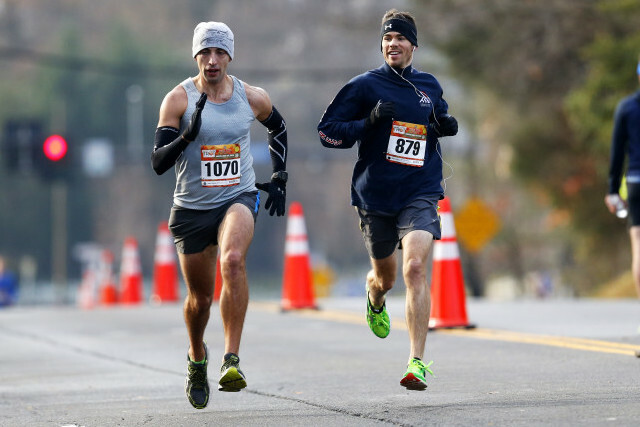 RunWashington’s 2015 runner rankings will be culled from results from these races. Race three before July 1 and three more after to get a year-end ranking. These races are all run on USATF-certified courses for distances between 5k and half marathon. Address any questions to [email protected], and race well! Jan. 1 New Years Day 5k Gaithersburg, Md. Jan. 18 JFK 20k Washington, D.C.
Feb. 1 First Down 5k Washington, D.C.
Feb. 8 Love the Run You’re With 5k Arlington, Va.
Feb. 8 For the Love of it 10k Reston, Va.
March 1 Reston 10M Reston, Va.
March 1 St. Pat’s Day 5k/10k Washington, D.C.
March 14 Rock n Roll USA HM/5k Washington, D.C.
March 14 Four Courts 4M Arlington, Va.
March 14 Lucky Leprechaun 5k Reston, Va.
March 21 Van Metre 5M Ashburn, Va.
March 22 Scope it Out 5k Washington, D.C.
March 29 Runners’ HM Reston, Va.
April 3 Crystal City 5k Friday Arlington, Va.
April 10 Crystal City 5k Friday Arlington, Va.
April 12 Cherry Blossom 9.4M/ 5k Washington, D.C.
April 12 Loudoun Half/8k Ashburn, Va.
April 12 Wolftrap ES 5k Vienna, Va.
April 17 Crystal City 5k Friday Arlington, Va.
April 18 Azalea Classic 5k College Park, Md. April 24 Crystal City 5k Friday Arlington, Va.
April 26 Pikes Peek 10k Rockville, Md. April 26 Rockstar 5k Fairfax, Va.
April 26 Ashburn Village Fiesta 5k/10k Ashburn, Va.
May 2 Frederick HM Frederick, Md. May 2 Metropolitan Branch Trail 5k Washington, D.C.
May 2 St. John the Jogger 5k Silver Spring, Md. May 3 GW Birthday 10k Alexandria, Va.
May 9 Police Week 5k Washington, D.C.
May 9 Race for the Cure 5k Washington, D.C.
May 10 Public Service 5k Washington, D.C.
May 10 Angel Kisses 5k Chantilly, Va.
May 10 Mothers Day 4M Reston, Va.
May 16 Semper Fi 5k Washington, D.C.
May 17 Capitol Hill Classic 10k Washington, D.C.
May 17 Miles for Melanoma 5k Washington, D.C.
May 25 Jeremy’s Run 10k Olney, Md. May 30 Race4Respect 5k Washington, D.C.
June 7 Women’s Distance Festival/ Run After the Women 5k Arlington, Va.
June 13 Lawyers Have Heart 5k/10k Washington, D.C.
June 13 PR Twilight 4M Ashburn, Va.
June 20 Run for the Roses 5k Wheaton, Md. June 21 ZERO Prostate Cancer 4M Arlington, Va.
June 28 Freedom 4M Arlington, Va.
July 4 Autism Speaks 5k Potomac, Md. July 18 Rockville Twilighter 8k Rockville, Md. July 25 Twilighter 5k Arlington, Va.
July 26 Hugh Jascourt 4M Washington, D.C.
Aug. 1 Crime Solvers 5k Fairfax, Va.
Aug. 2 Riley’s Rumble HM Boyds, Md. Aug. 16 Leesburg 20k/5k Leesburg, Va.
Aug. 23 South Lakes 10k Reston, Va.
Aug. 30 Annapolis 10 M Annapolis, Md. Sept. 5 Kentlands 5k Gaithersburg, Md. Sept. 6 Larry Noel 15k Greenbelt, Md. Sept. 12 Arlington 9/11 5k Arlington, Va.
Sept. 13 Parks Half Rockville, Md. Sept. 19 Kensington 8k Kensington, Md. Sept. 19 Susco 8k Reston, Va.
Sept. 19 Poolesville Day 5k Poolesville, Md. Sept. 20 Navy-AF HM/5 M Washington, D.C.
Sept. 20 Run for the Schools 5k Falls Church, Va.
Sept. 26 Clarendon Day 5k/10k Arlington, Va.
Sept. 27 Perfect 10 M/10k Reston, Va.
Oct. 3 Navy Federal 5k Vienna, Va.
Oct. 4 Boo! Run for Life 10k Washington, D.C.
Oct. 4 Home Run 5k/10k Rockville, Md. Oct. 11 Army 10M Washington, D.C.
Oct. 17 Balitmore HM Baltimore, Md. Oct. 25 MCM 10k Washington, D.C.
Oct. 25 Somerset 8k Chevy Chase, Md. Oct. 31 Race for Every Child 5K Washington, D.C.
Nov. 1 Rockville 5k/10k Rockville, Md. Nov. 1 Run for the Parks 10k Washington, D.C.
Nov. 8 Veterans Day 10k Washington, D.C.
Nov. 8 Vets Day 5k Reston, Va.
Nov. 15 .US National 12k Alexandria, Va.
Nov. 15 King of the Road 5k Rockville, Md. 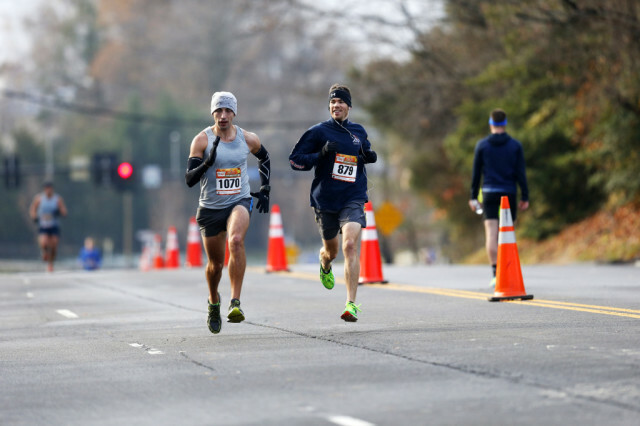 Nov. 22 Vienna Turkey Trot 5k/10k Vienna, Va.
Nov. 26 SOME Trot for Hunger 5k Washington, D.C.
Nov. 26 Fairfax Turkey Trot 5k Fairfax, Va.
Nov. 26 Alexandria Turkey Trot 5M Alexandria, Va.
Nov. 26 Arlington Turkey Trot 5k Arlington, Va.
Nov. 26 Bethesda Turkey Chase 10k Bethesda, Md. Nov. 26 Turkey Day 5k Reston, Va.
Nov. 26 Virginia Run Turkey Trot 5k Centreville, Va.
Dec. 6 Jingle All the Way 5k Washington, D.C.
Dec. 6 Bread Run 10k Carderock, Md. Dec. 6 Run with Santa 5k Reston, Va.
Dec. 13 GAR Williams HM Carderock, Md. Dec. 31 Fairfax 4M Fairfax, Va.